Prime Minister Jens Stoltenberg announced on Thursday that the late Grete Waitz will be honoured with a state funeral, but it will remain a private affair. Waitz herself wanted only her closest friends and family in attendance. State funerals in Norway are reserved for former heads of state or “other persons who are of great national significance,” and members of the royal family are often in attendance. The honour was bestowed most recently upon the late actress and humanitarian Wenche Foss. Now it will be Waitz, who died on Tuesday at the age of 57, who will be buried with government honour at state expense. Stoltenberg said it was because Waitz was not only an “outstanding” athlete, but also “someone who used her position to further the cause” of better public health through athletics. It was thus a bitter irony that Waitz, who won the New York Marathon nine times along with Olympic gold, would herself fall so seriously ill. After going public with her cancer diagnosis in 2006, she launched into more efforts to promote sports and battle cancer, largely through a new organization she helped launch called Aktiv mot kreft (Active against cancer). “She was a great athlete, but she was so much more than that,” Stoltenberg told NRK. 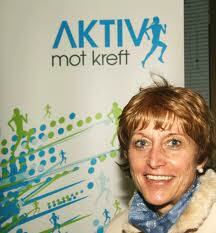 Waitz also launched the annual Grete Waitz Løpet, a race for women to encourage more to start running.